Want to be a better boss? Check your emails less often. Research from Michigan State University shows that keeping up with email traffic places high demands on managers, which prevents them from achieving their goals and from being good leaders. 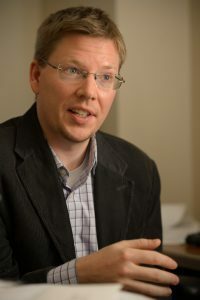 The research, led by Eli Broad College of Business Associate Professor Russell Johnson of the Department of Management and published in Journal of Applied Psychology, is one of the first to examine how distractions from email impact managers, their productivity and their role as leaders. According to the research, employees spend more than 90 minutes every day – or seven-and-a-half hours every week – recovering from email interruptions. Managers, Johnson said, are no different, and their distractions have further-reaching implications. So, not only are managers not managing – but they’re also focusing on smaller tasks for the sake of feeling productive. “We found that on days when managers reported high email demands, they report lower perceived work progress as a result, and in turn engage in fewer effective leader behaviors,” Johnson said. “When managers reduce their leader behavior and structure behaviors, it has been shown that employees’ task performance, work satisfaction, organizational commitment, intrinsic motivation and engagement all decrease, and employees’ stress and negative emotions increase,” Johnson said.